Let’s do some math real quick: If you purchase a $4 cold-brew coffee every morning, you’re spending roughly $120 per month — $1,440 per year! — on caffeine. Sure, staying caffeinated is incredibly important, not to mention that coffee protects your liver, counters risk factors for heart attack and stroke and guards against Type 2 diabetes. But think of all the money you could save if you made your own cold-brew coffee. And you’ll be surprised how easy it is to pull off at home. The cold-brew process involves little more than soaking coarsely ground coffee beans in cold or room-temperature water for at least 20 hours. Plus, cold-brew coffee is lower in acidity than typical, hot-brewed coffee. Still not convinced to go the DIY route? Think about it this way: If you started making your own cold-brew coffee, you could use that $1.4K per year to buy a used car or 220 pieces of avocado toast — depending on where your priorities lie. Are you a coffee lover? 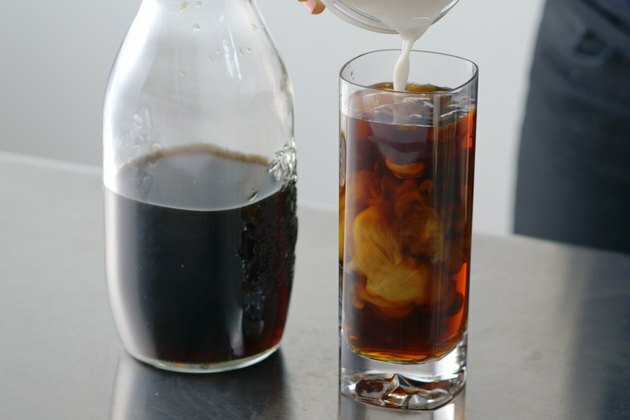 Are you going to try this cold-brew recipe? If you’ve already tried it, do you have any suggestions or tips? Share your thoughts!